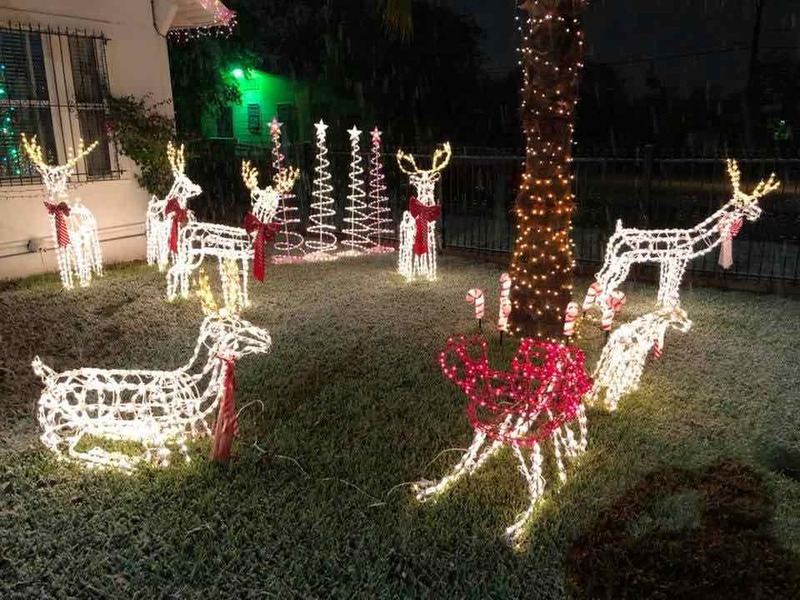 We get this question from malls, hospitals, all year and from folks who have flat roofs during the Holidays. 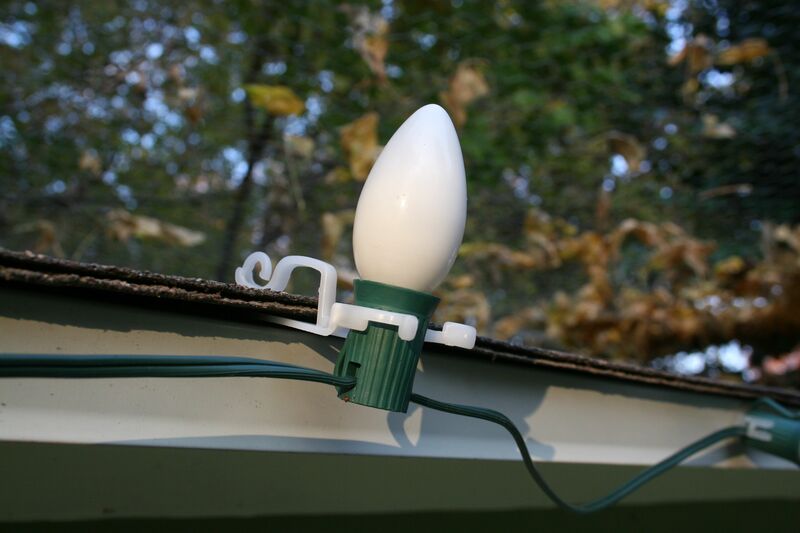 Use a two-piece installation hardware set to install lights along the edge of your flat roof. 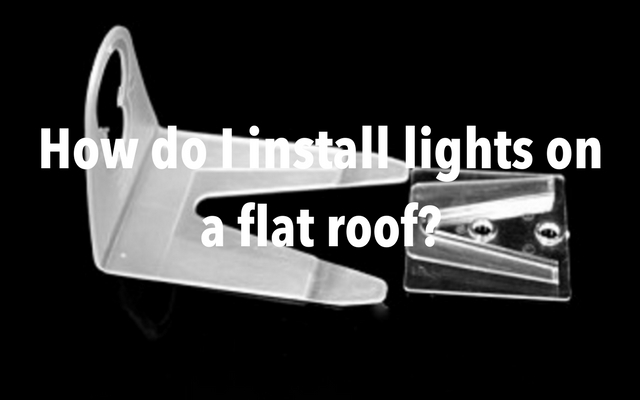 The original shingle tabs can be used on their own to install C7 and C9 bulbs and cords along a shingle edge but when combined with parapet clips, the due is designed to install lights along the edge of a flat roof. The parapet clip can be installed with nail screws or adhesive silicone. C7 and C9 bulbs are larger than the opening in the tabs so they’ll need to be installed by screwing them into their sockets through the clips. 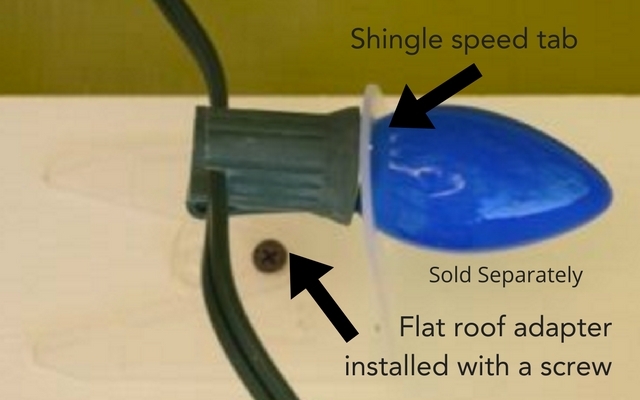 Just rolled out a couple of years ago, the newer shingle speed tab is suitable for not only C7 and C9 traditional bulbs but has a smaller notch to work with smaller light strings with smaller bases. To work with smaller light strings, the lenses must be small enough to fit through the opening of the speed tab. Don’t pre-install the parapet clips or speed tabs. The distance between C7 and C9 sockets will vary slightly along 100’s of feet of stringer wire so install base clips along your flat roof “one by one” as you work along the roof edge. 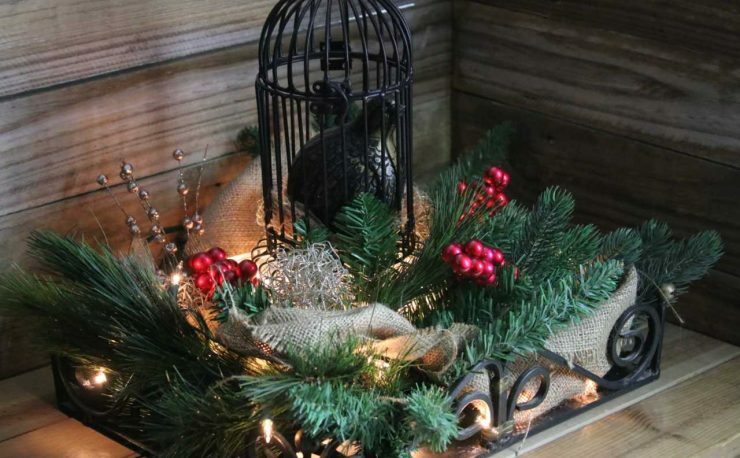 And keep in mind that along any sort of surface, variations in the roof will also create tension in your line if you don’t allow for a little slack. 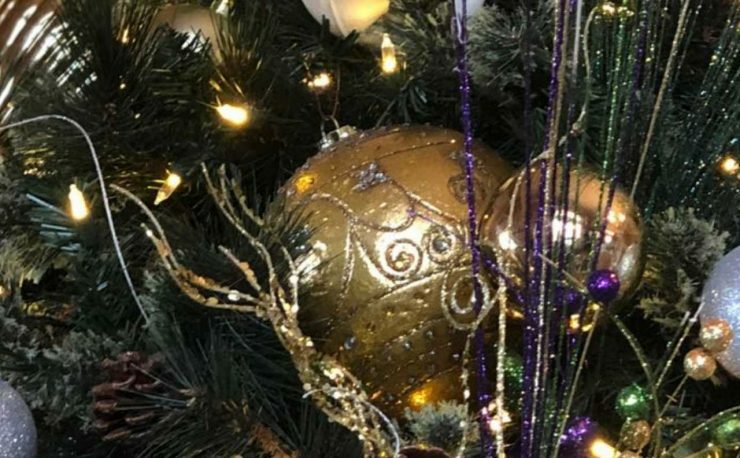 This may go without saying but we’ve seen it all. 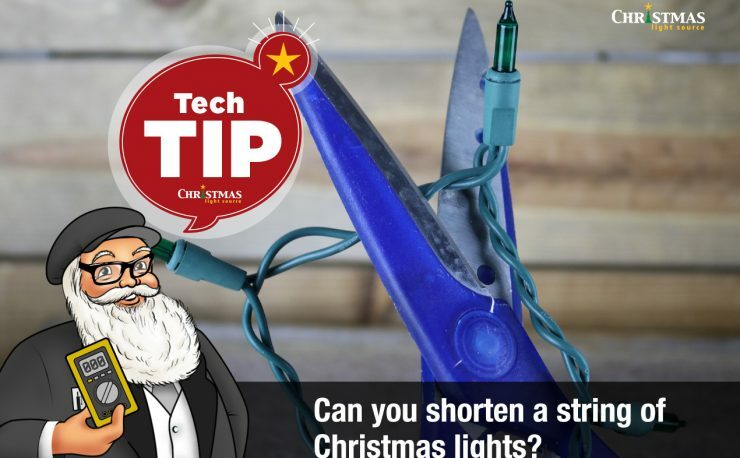 You also want to make sure there isn’t too much tension on your socket wire so your base clips may not be a true 12-inch spacing if you are using 12-inch cord. How long will these clips last? The parapet clips and speed tabs are made of UV resistant plastic but no clip will last indefinitely and the lifespan of your clips will depend on exposure to sun, wind, rain and other inclement weather. Locations near the ocean will see the effects of salt water on their clips. Order extra clips to use as a replacement as required. 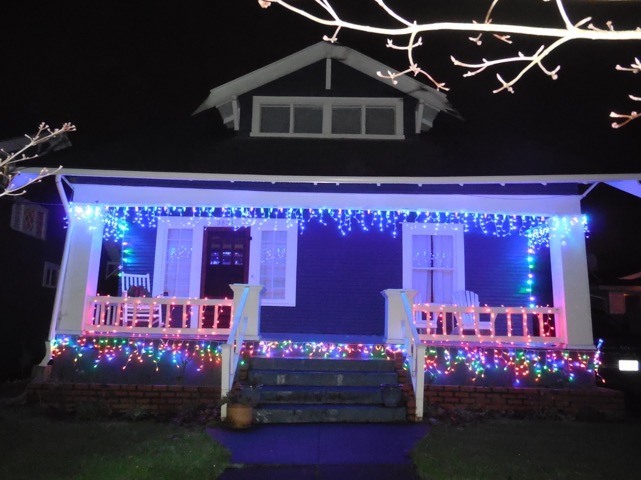 How can I install Christmas lights on shingles and gutters? 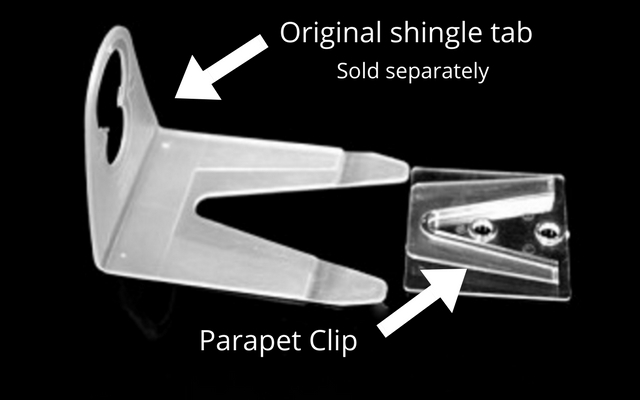 Online – you can find the original shingle tabs and parapet clips listed here in their own categories. The shingle speed tab and flat roof adapter are also another pair of clips that combine together to make a good solution for flat roofs. Note these only work together in pairs. 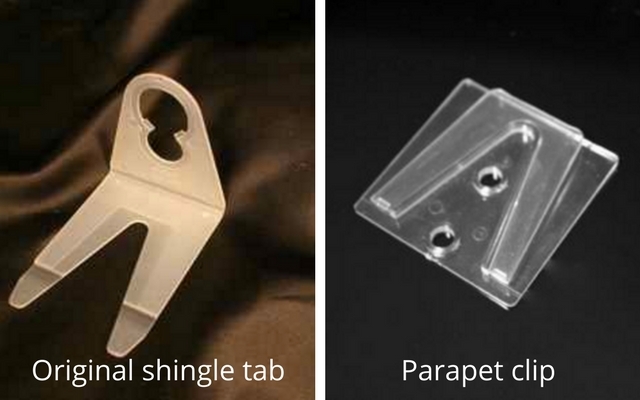 For instance, you would not use an original shingle clip with a flat roof adapter.